TBH, don’t you think that every early 80s blandmobile was engineered and designed under those circumstances? Good morning, America. The future is here today. The future is here, America. The Q-car is here. All - I’m home a few hours earlier than expected, but I won’t shorted my deadline. That means the 3 of you who haven’t submitted still have a chance. You are correct, sir. I am an idiot and for some reason didn’t mark the spreadsheet when I downloaded it. Aaron.W - Next round then. I didn’t had time. Sorry. A quick question in advance of next round: It was either '84 or '86 that the high stop light became a standard item, but in real life many were mounted - as an afterthought - within the rear window; something that can’t really be duplicated in Automation. How should we approach this innovation? I’ll cover that in the write-up for next round. Hopefully I’ll be able to finish scoring tonight. Vermillion seems to be a perennial contender for the Best-of titles every year. This year, they take top honors again, with the Igni 1900. Among its peers, the Igni stands out for being exceptional in several ways. Its road manners are excellent, even on rough, broken roads. It is easy to park, easy to see out of, and even the 5-speed manual transmission shifts with ease, its knob within easy ergonomic reach of the driver. All 4 doors open wide for easy entrance and egress, and the front seats have a wide range of motion, giving both front and rear passengers plenty of space. The seats themselves are made from a durable, flat-woven cloth. Radio controls are well thought out, even if the radio itself is nothing spectacular. Under the hood is a 12 valve overhead cam, fuel-injected engine that puts out 85 horsepower. That is on the more powerful end for this class. This leads to our only real gripe; the fuel economy of the Igni is acceptable, but not particularly good when stacked against its competitors. 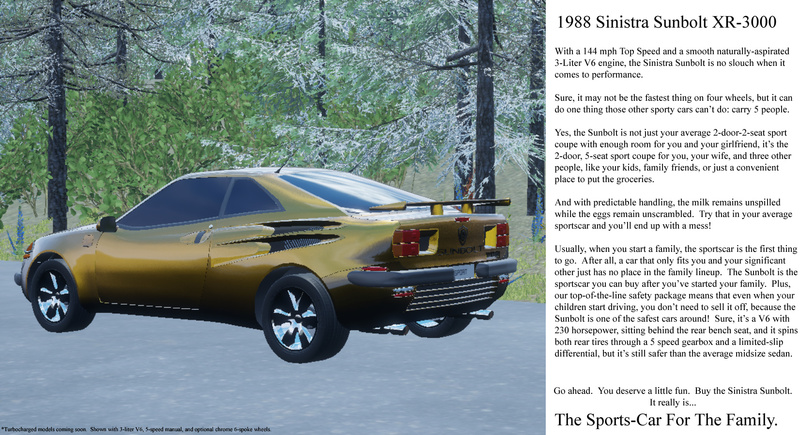 The face of upscale motoring has changed here in the 1980’s. Small is the new big, and the Fenton ET 300 is leading the pack of this year’s available contenders. 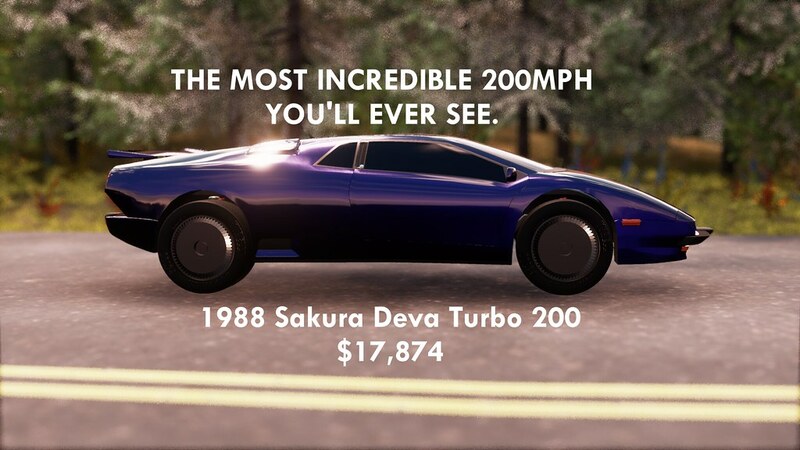 It includes all of the touches you’d expect from a car of standing. Veloured cloth seats (with leather as an available option), a 4-speaker AM/FM stereo with equalizers, power steering, and air conditioning all come standard. As does something new; Fenton has made an air bag for the driver a standard option this year as well, ushering in a new era of safety. Its motor is no slouch either. A 3.0 liter single-cam V6 worth 150 horses, mated to an electronically controlled 4-speed automatic transmission, allows the ET 300 to get up to 60 in under 10 seconds. Handling is sharp for a car of this class, but its biggest coup comes at the pump. Our week-long test netted over 25 miles per gallon in mixed driving. The ET 300 competes at a price point similar to the Takemi Ascera and the Birmingham 8000. While it is the most expensive of the trio, we feel it is worth the extra initial outlay. FIXTURE VIOLATION: Rear side markers the wrong color. Supremacy. Grehet certainly had a prophetic stroke when they named their new supercar. It indeed rules supreme in the sports car world. 432 horsepower is a number we haven’t seen coming from an engine in over a decade. And they have squeezed it out of a turbocharged 4.2 liter twin-cam motor. Hands down, the Supremacy is the best handling, fastest car out there today. And unlike sports cars of a day gone by, a joyride will not break your back or make your spleen bleed. Rather, the level of sophistication invested in the passenger cabin rivals that of premium sedans. Alas, we must shatter many dreams here. The Grehet Supremacy is also supremely expensive. 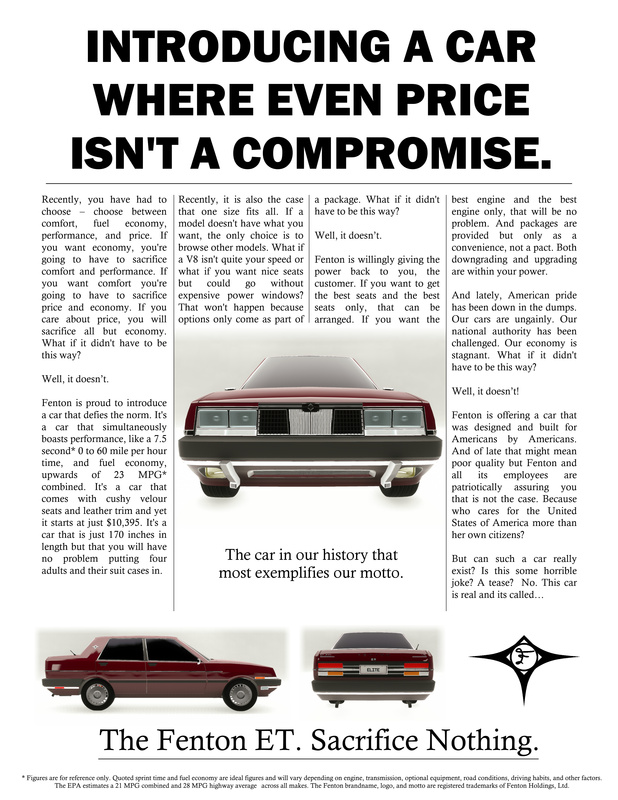 But if you can afford one, you will understand what it means to never compromise. Deer and Hunt, known for many years for their rough and tumble trucks, shows us their civilized side with the Buck van. Unsurprisingly, a 4.5 liter V8 motor powers this model. But what may surprise some Deer and Hunt fans is how pleasant it is for passengers. Premium velour seating for five is standard, along with a 4-speaker AM/FM stereo with programmable presets, as well as air conditioning and power steering. The Buck also boasts a cavernous cargo area and, if that’s not enough to move your family’s gear, it also comes standard with a roof rack. And did we mention it has a half ton payload rating, and a 2500 pound tow rating? Deer and Hunt knows their customers well, and they have shown that they can cater to their customers in more than just one way. This year we have a tie for best engine. First is the Caliban Screamer II 1600, which powers their Thunder Infinity. With 100 horsepower and 91 ft-lbs of torque, it does a more than adequate job of propelling the small hatchback. What impressed us most is that it is, despite its intended design for use in a sporty car, the Screamer II is quite smooth in operation. This may explain why our long-term lab testing indicates that it is going to be one of the most reliable engines available this year. The second choice is Ardent’s 2C-20Si “Cygnus” series 4-cylinder motor. Much more mundane than the Caliban offering at 79 horses from a 2.0 liter displacement, the Ardent motor is very peppy and torquey in its application on the Piper. It, like the Caliban Screamer, also places very highly on our long-term reliability testing. As an added bonus, service for the Cygnus is both simple and inexpensive, saving in long-term cost. Sorry for the delay getting this up. Busy with home stuff + holiday today. Will try to get the next round info up ASAP. It has certainly been a decade of challenges, with economic recession dominating much of the decade. AT&T is broken up into multiple regional Bell systems due to them being ruled a monopoly. Our neighbors to the north have finally gained full autonomy from the Crown and become their own sovereign nation. The IBM PC and Apple // (and later Macintosh) computers vie for dominance in a growing home computing market, while other early contenders fail. The Mother Road, Route 66, is officially removed from the US Highway System in '85. Nintendo releases the original NES console. Gorbachev becomes the leader of the Soviet Union. Chernobyl melts down in '86, stoking further fears about not just nuclear war, but accidents as well. And the States are utterly shocked to the core when the Space Shuttle Challenger disintegrates just over a minute into launch in January '86. And in 1987, what will eventually become the longest running series in American TV launches: The Simpsons. Reagan gives his famous “Tear Down This Wall” speech in Berlin. Front lights and fixtures: At least one pair of headlights required. At least one pair of turn indicators required. Turn signals may NOT be placed in bumpers. Exactly one pair of parking lights are required. Parking lights MAY be placed in bumpers. Parking lights and turn signals may not be part of the same lens/fixture. There has to be some form of visual separation. Front light colors: No red may face forward. Rear lights: At least one pair of brake lights. At least one pair of turn signals. At least one pair of reverse lights. NO lights may be placed bumpers (however, optional red reflectors may be). If turn and brake lights are in the same fixture AND of the same color, there must be a minimum of THREE bulbs in the fixture. Passenger cars must also have exactly one Center High Mount Stop Lamp (a single brake light fixture at or above the level of the top of the trunk, in the center). Vans, trucks, and SUVs are exempt from this. Rear light colors: Brakes must be red. Reverse must be white. Turn signals cannot be white. Side marker/signal lights: Front side markers required. Rear markers required, may be placed either on the side or the rear. Side light colors: front side may be amber only, rear side may be red only. Mirrors: Driver and passenger side mirrors required on passenger cars. Vans, trucks, and SUVs will require this in 1991. Aerials: Long mast or retractable antenna required if car has a radio. Fuel fillers: Must be placed on the side of the vehicle. Front-engine cars must have the filler somewhere in the rear quarter, mid- and rear-engine cars must have the filler somewhere in the front quarter. Safety: All passenger vehicles must have a minimum of 30 safety. All trucks, vans, and utes must have a minimum of 25 safety. 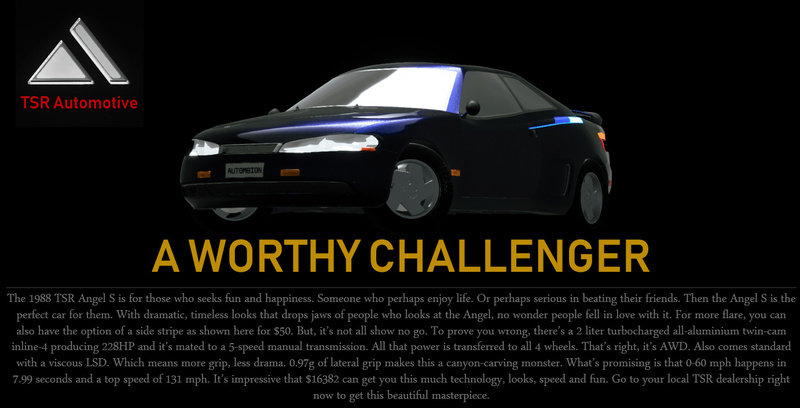 Export and PM me the .car file, make a post about your car in your lore thread (if not already there), and post an ad in this thread BEFORE the round deadline. If your company hasn’t registered for the competition yet and you want to participate in this round, please PM the required company information as well as your submission prior to the round deadline. NO FURTHER COMPANY REGISTRATIONS ARE BEING ACCEPTED. SOME SIGNIFICANT REGULATION CHANGES HAVE OCCURRED AGAIN, PLEASE MAKE SURE TO CAREFULLY READ. With regards to the CHMSL - Please try your best to do something visual. PM an explanation if it doesn’t work. For the past three months, Luke had been doing these covert missions with the Sunbolt, driving into competitor’s parking lots in a dark-colored sports car, almost always a Charcoal black Sunbolt, though occasionally one in Crimson Sky was used, and ripping off a loopy, cursive burnout to warn people away from his competition. But for Ardent, he’d reserved judgement, and had done his striping in the Sunburn yellow menace, his personal car, complete with the license plate “GOOD SIN” visible. He didn’t care if they noticed this time. 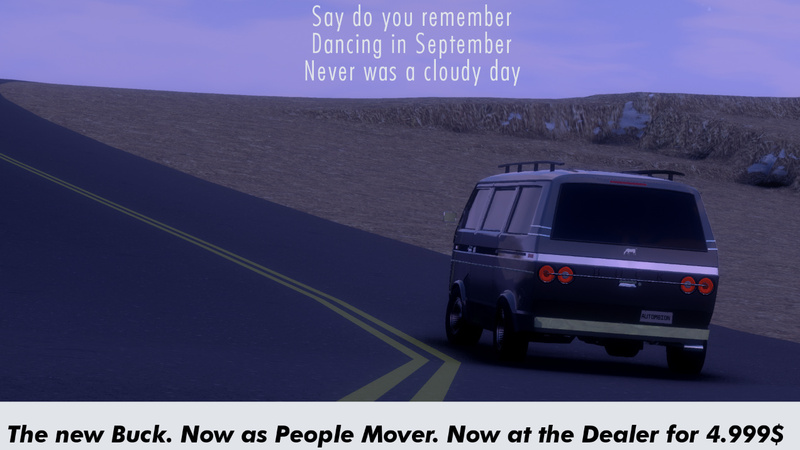 And, of course, the bright yellow car was long gone by the time the cops could arrive, back on a highway heading toward Nevada, the tires worn nearly bald from doing burnouts. He knew the other company CEO’s could tell who was doing this. If it wasn’t him doing it, it was someone he hired, someone who could handle the rear-engined car’s twitchy handling. “We’re trying to manufacture them in house, so we…” Jeff started to say, only for Luke to go on another outburst. “I… Didn’t think about that.” Jeff admitted. Jeff hurried down the hall, back to the engine design room. Before making any calls, he opened the locked filing cabinet and grabbed the bottle from within, pouring himself a large glass before downing it, putting the bottle and the glass back into the cabinet, and locking it back up. He knew if Luke ever caught him drinking on the job, he’d be fired. Luke was known to dislike activities that wasted company time, and he’d soured a few friendships when he imposed a no-smoking policy on the property. And Jeff remembered warning two new employees to his department about not smoking or drinking on the job, only for both of them to get busted, one that day, and one a week later. The first guy had simply shrugged it off, wasn’t the first time he’d been fired, let alone gotten in trouble for smoking in the bathroom. The second, however, had also crossed Luke’s hard stance against drugs. Jeff had smelled the pot and tried to find the source, but Andrea, Luke’s current head of the Performance Division, had found the guy first, and then found Luke before Jeff could. Luke had the cops on site before Jeff could even warn the guy, and Luke made sure he left in handcuffs, to make a statement about drugs on company property. Jeff picked up the phone and started calling companies, asking if they could contract out to Sinistra Motors for some turbochargers. He hoped he could find some that were suitable for the Sunbolt before 1990, because he really needed to keep this job. 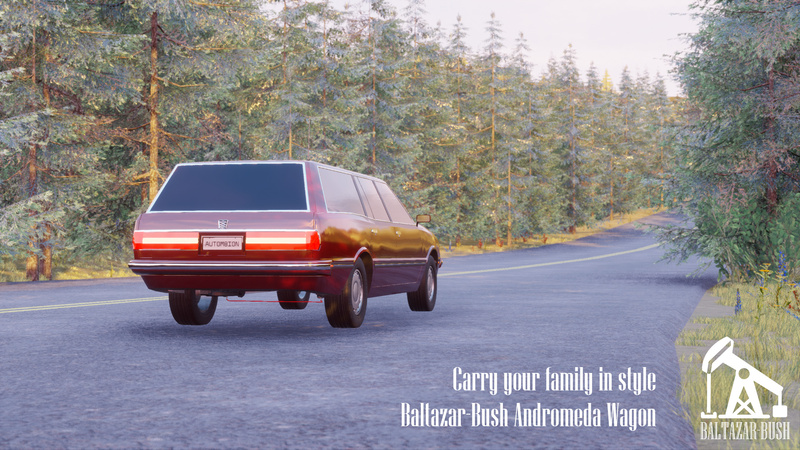 I haven’t decided on which car to use yet, but if I choose the Boulevard Star, will it count in as a van when it comes to regulations? 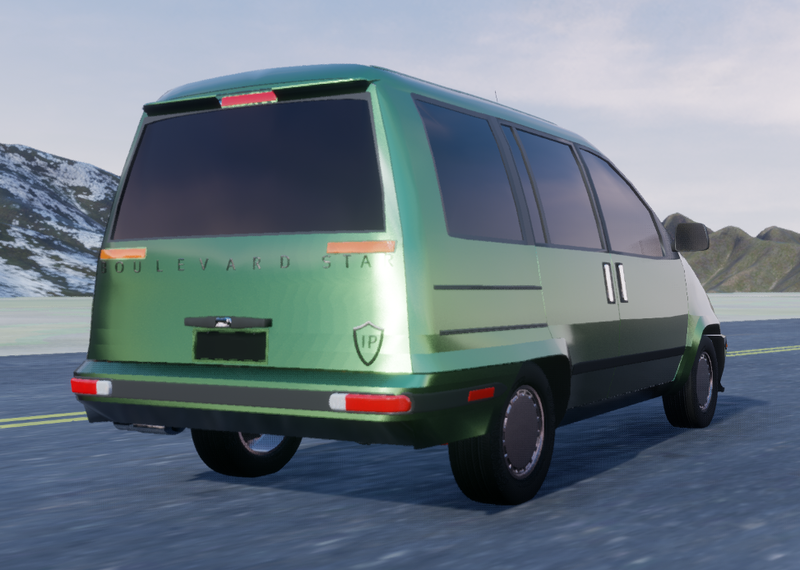 It’s using the early 80s hatchback body, but redesigned into a shape as van-like as possible. In the back there’s a simple bench for three passengers, that can be removed, folded flat or even folded to work as a bed together with folded front seats…so a 2+3-seater with quite large cargo room for its size. 1988, Sinistra Motors Headquarters, Luke’s Office. “So, you think this ad’s gonna work?” Luke asked Robert, the new head of the advertising division. But what to do? Michael rubbed his temples and sighed, another headache was forming. Michael decided to contact his senior engineers; everything had to go on the table! Without change Bogliq would die and Ardent would win and that future was unthinkable… Michael got up and left his office, organised his secretary to get the meeting rolling for tomorrow and he headed home for the day. No point hanging around waiting for his head to burst, besides, he was going to be really busy tomorrow morning. @VicVictory Do we need to put the 5mph bumper bars on this body? I mean this car has bumpers already. Molded bumpers count as 5 mph bumpers. You’re still limited with light placement in that regard, however.